First up, my beautiful copper fisherman lights from Iconic Lights. This was probably one of the hardest things to find, as good kitchen lights, especially those that are wall-mounted like most of ours, which is generally the case for most old properties, is extra difficult. You see the ones we had were those fake candle lights, which I hated, and I wanted something modern to tie in with the kitchen, as well as something with a heritage about them, so they didn’t look out of place with the beams and brickwork. I’ve always loved these vintage nautical design light fittings but I thought you could only get them as pendant lights. In an ideal world we would have placed three of these over the island to make a statement in the main kitchen, however, ceiling height and no access to put new light fittings in, meant we couldn’t, but you know what, these wall-mounted beauties look just as good. 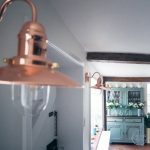 I love the colour, the copper is a perfect shade to match the handles of the cabinets, the shape, not too big, as well as the LED bulbs inside, they are a vintage style and really marries the old and new of the kitchen design. 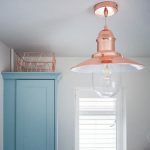 Luckily the height of the scullery meant I could get the pendant lights I’d seen and I love that they continued the theme, as well as add a slight contrast in that end of the kitchen, similar to the worktops not being quite the same. You might be worried about buying lights online, I know we all want to see something that’s going to grace our house for years to come in person, however, I found that I couldn’t find anything like what Iconic Lights offered on the high street, and most certainly not their price points, the wall lights were £20 each and the pendant £25, which is significantly lower than other styles we had seen, and the quality is amazing. 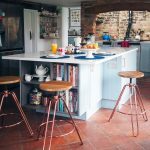 The stools from Cult Furniture were one of the first things I selected for the kitchen, before the kitchen had even been finalised and fitted, I instantly fell in love with them for the fact they were the industrial style I was after, they were the right shade of wood and that they had copper legs. 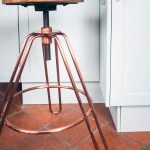 The copper legs were the selling point, and Cult Furniture had one of the biggest selection of copper styles it made it hard to choose, but I just loved the hairpin design. At first, I was thinking of stools with backrests, just as I was thinking they would be more comfortable, but then I was concerned with the fact my kitchen wouldn’t look as streamlined and minimal, and I think I made the right decision, as I love that these stools slot perfectly under the worktop. Also, don’t worry about the height as they can be easily made higher or lower. When I was planning the kitchen I knew that not many appliances would be sitting on the worktops all the time. 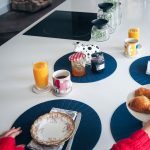 You see in the last house we had limited storage so we had the kettle, coffee machine, toaster, microwave, blender, Nutribullet, and food processor – it was crowded to say the least and you generally couldn’t use the units and it looked untidy. 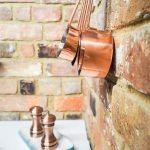 For the new kitchen, I just wanted the kettle and toaster to be on the top, so I had to find a matching set that fitted the theme perfectly, so copper. 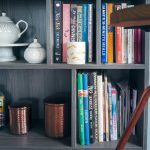 It sounded easy enough, but a lot of kettles say that they are copper but they are more rose gold or just gold, so when I found the Tefal Avanti Classic toaster and kettle I knew they would look perfect. The other deciding factor were the toasters, you see I was finally upgrading to a 4-slice beauty, I know the luxury hey, but with all the other appliances now in the cupboards it meant I had the room and I’m so glad I did as it makes it so much easier when people stay to get toast on the go. Unlike other 4-slice toasters, the Tefal one is split in two, which means you can set the two sides independently from one another, which is amazing for my husband and I, as I basically like mine barely toasted and he is closer to well done, or what I call burnt. You can also fit extra-thick bread into it, as well as Warburton’s Toastie, the bread of champions that is a little too large for most toasters, as well as bagels. 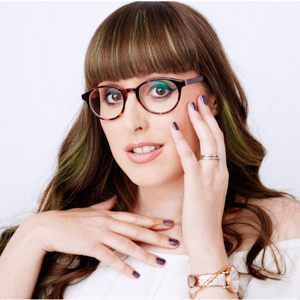 I love that you guys love cute bone china as much as me, and I had a lot of questions about my collection and where to buy. Sadly, most of my pieces are vintage, I’m obsessed with hunting out cute pieces in charity and antique shops, and a lot of these I actually bought for my wedding afternoon tea, you see it was cheaper to source my own than rent them, and best bit I got to keep them all afterwards. It’s one of the things I love to collect, use and rotate around the kitchen and dining room. Want to start your own collection, I love Royal Albert, I’ve linked the Rose Confetti range below, as well as Wedgewood, both do lovely sets with vintage touches, I also like buying quirky and unique mugs and cups from Anthropologie, Oliver Bonas, as well as Cath Kidston, I may have gone a little crazy for all their Disney collab mugs, but who can blame me they are all so pretty. Just remember you don’t need 6 of everything, I generally opt for two if they are new and if I can only find one when it’s vintage, if I like it I make an exception. 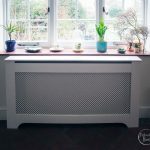 The vintage dresser has to be one of my favourite pieces in the kitchen and it was all thanks to discovering Vinterior, a vintage marketplace similar to eBay. You see I had a few hurdles to overcome, the main one being the height, as the ceiling really does drop in the corner I wanted to place the dresser, and it couldn’t be too wide because of the window into the conservatory. The size was a headache and I have to be honest I wasn’t sure we’d find anything. 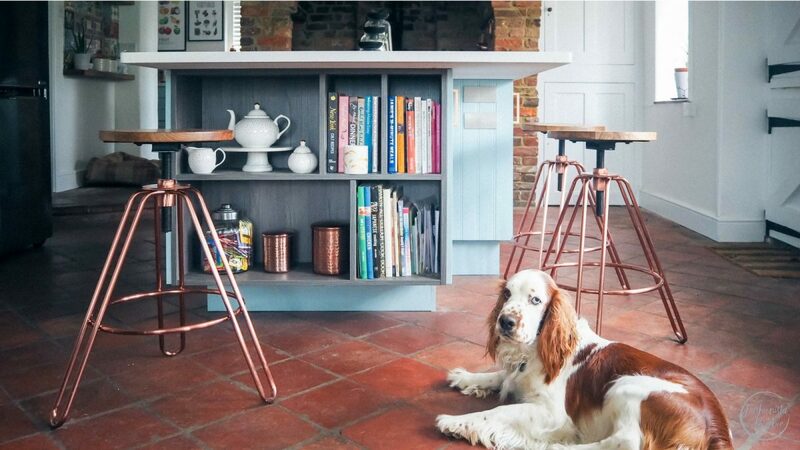 I also didn’t want dark or light wood, the goal was to have a painted upcycled beauty, whether that was something I had to do myself or buy like that, and I hit the jackpot with this beauty as not only was it the right size the colour is a great match to the rest of the kitchen. Plus just look at all the detailing, the handles, the leaded glass, and carving around the doors. I just love it. 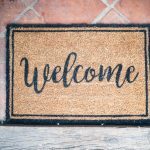 I was a little nervous about using Vinterior as I didn’t know anyone who had used them before. You also don’t deal with a centralised shop, the site is made up of more than 700 independent boutiques and dealers, and the deliver is dealt with directly with the buyer. So for most of the pieces you have to request a delivery quotation. Don’t be worry though, this will be cheaper than collecting it yourself, and I found the two guys who delivered the dresser to be excellent. One word of advice, there is only one item, if you like it, enquire about deliver and make a decision quick as other people might be looking and until you pay for it, you can’t guarantee it will be yours. The paint was the biggest instant transformation of the space, just by getting rid of that horrid dirty cream shade and replacing it with Dulux Timeless White it made it look cleaner, brighter and bigger. Plus, making the woodwork matt rather than shiny made it more modern and fresh. When you read Timeless White it sounds boring doesn’t it, but I knew I wanted a clean palette to the walls so the blue of the kitchen cabinets and the red tiles could shine through. I didn’t however want one of those shiny whites, the Timeless White has this glow about it when the light hits it that I just adore. I just think it is one of those colours that really enhances natural light and works perfectly for a kitchen. There are a few other decor details that I wanted to highlight, starting with my letterboard, a bargain that I bought in the Black Friday sales, I couldn’t believe it, I found a large one, a navy blue one, and it was only £21. Such a bargain and such a fun addition to the kitchen. The hard bit was deciding what to put on the board, I tried food quotes, recipes and even a sample menu, but then it came to me, my husband is always saying ‘are you hangry’ so it felt only fitting to add it to the kitchen. Do let me know what you are loving from my kitchen details and if you have any other questions about the design.